These services may be helpful for reflux families. The Reflux Infants Support Association (RISA) Inc does not recommend, endorse or favour these services and does not imply they are necessary, or in any way better than others. All children are different, and what works for one child may not work for another. Please do your own research to determine what service may be necessary or may suit your child best. If you have any questions or concerns, please talk to your child’s doctor or child health nurse. Specialist Dietitian Joan Breakey has thirty years experience with food intolerance and allergy. Did you know that your child’s reflux could be reduced by a change in diet? OR you can find answers now on her best selling food sensitivity books by visiting Joan’s website. Australian Support Network for Eosinophilic oEsophagitis and related disorders. 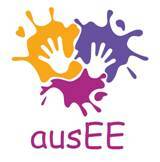 ausEE is a registered Australian charity dedicated to providing support and information to anyone diagnosed with or caring for someone with an Eosinophilic Gastrointestinal Disorder (EGID) including Eosinophilic oEsophagitis (EE or EoE), Eosinophilic Gastritis, Eosinophilic Enteritis, Eosinophilic Colitis and Eosinophilic Gastroenteritis. Our vision is for children to be safe, healthy and nurtured by confident families and communities. Mothers Be HeardUnderstanding and support for new mothers. Night Nannies uses a holistic approach combining individually tailored routines and gentle settling techniques to help teach your child to self settle and to enable families to get a good night’s sleep. One of our most popular services is our overnight support service where our Nurses and specialised Nannies come in to give you a break overnight. We follow your routine or give you a routine, bring bubs to you for feeds or feed bub overnight and do all the resettling, write up notes on how the night went & get your baby ready for the day. You get a well deserved rest and a renewed excitement to take on the new challenges for the day. The Gut Foundation provides professional and public education and promotes research into digestive disorders to improve gastrointestinal health.We hope you enjoy and are helped by the information provided on our website, both in terms of understanding the process of digestion and absorption and how that might affect the development of subsequent diseases. Australia’s number one health and medical information site written by doctors covering topics from child’s health to gastrointestinal conditions to infectious diseases.